YES! Finally, a cup that can hold my snack AND drink! Snackeez cup can hold up to 16 ounces of your favorite drink and up to 4 ounces of your favorite snack. Check out this video review for any additional stuffs I may have missed. 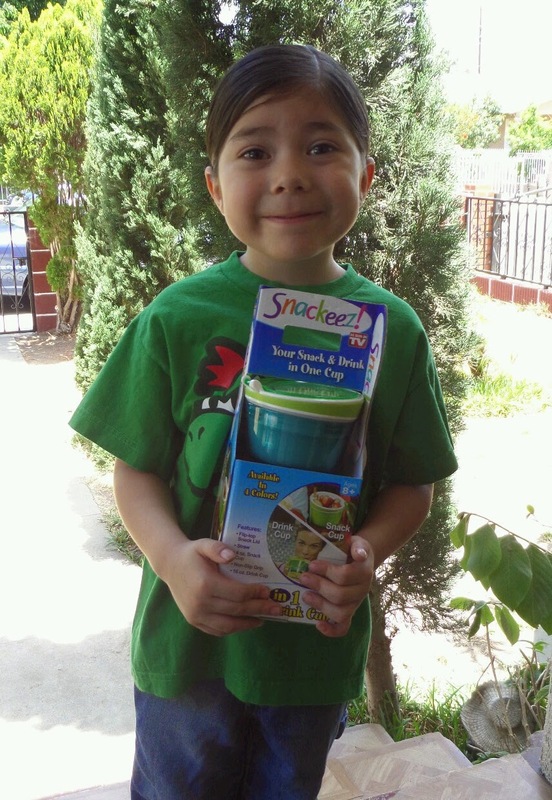 My son sure does love his new Snackeez cup! Remember that scenario at the beginning of the post, well... that was when the Snackeez cup really shined. We recently had a movie night at home and we got plenty of snacks and drinks to go around. Popcorn fell, candy slipped out of hands, luckily, we didn’t have any drinks spill, but it was definitely a messy, good time. While everyone was juggling through stuff with two hands, my son was quite happy sitting there with his Snackeez. He was sipping away while munching on popcorn. He even made fun of the rest of us because he has a Snackeez and everyone else doesn’t. Aww, to be four again. 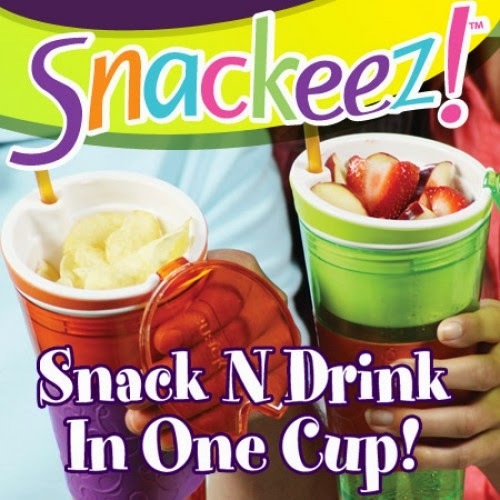 If you have a young one in your home, I strongly suggest you pick up a Snackeez cup at a local retail store near you. Let’s be honest here, young ones can be a bit clumsy and spills and messes are going to happen. Though, it may not completely eradicate messes, it definitely helps keep them to a minimum. The only drawback that I have with the Snackeez cup is that the lid that covers the snack section comes off pretty easily. There has been an instance or two where my son pulled on the lid a little too hard and managed to pull it off the cup. Though it’s not deal breaker, I would have liked if the lid would stay put. So there you have it, friends. What do you think of Snackeez? Do you own one? Do you want one? I’m curious to know if it has been as helpful to you as it has been for me. Later!